The TDM Master Colloquium is an annual event that brings together current students, recent graduates, TDM staff and alumni. It is an opportunity for graduate students to present their thesis topics, research processes and outcomes. Our current participants were able to get an idea on what might be awaiting them after having completed the program. Erdinc Cakmak, NHTV lecturer and initiator of the TDM Master Colloquium, kicked off the day welcoming students, staff and visiting guests. He explained the term ‘colloquium’, literally meaning ‘conversation’ or ‘discussion’. Accordingly, the reason for the event is to bring together different generations of TDM participants to discuss. He also addressed the importance of Phase 3 of the programme. Designing a research and writing a master dissertation independently is a further milestone within the learning experience of the course. It is the final step towards becoming an M.A. graduate in Tourism Destination Management. Corné Dijkmans gave a second introductory speech. 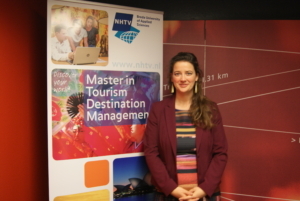 He is the research manager for the Academy for Tourism at NHTV. 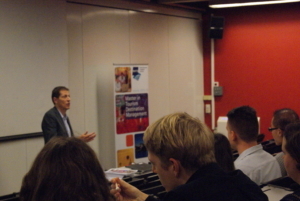 Corné talked about the main research themes of the Academy which include ‘making places and shaping destinations’. This is particularly relevant in the context of TDM. Corné believes that the research- and analytical skills students acquire and develop throughout the program are essential on the way towards becoming tourism professionals. This is especially as the design and management of destinations is a complex and highly sensitive task and responsibility. The labour market is more than ever demanding highly trained and specialist people. 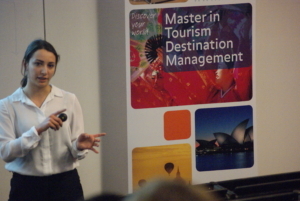 Therefore, all program participants chose the Master in Tourism Destination Management for a good reason. After the two introduction speeches it was time for our three main keynote speakers of the day. TDM alumna Nicole Heidenreich shared insights into her life after graduation and the fresh graduates Pema Gurung and Laura Gorlero presented their thesis work. 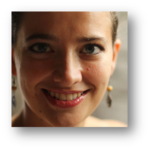 Nicole Heidenreich from Austria joined the TDM family in 2011. After completing Phase 2 of the program in Bali, she decided to stay and started working for Swiss NGO Swiss Contact. For five years, she was involved in setting up Destination Management Organizations in developing destinations such as the Indonesian island of Flores. Nicole participated in the TDM Master Colloquium already for the second time. 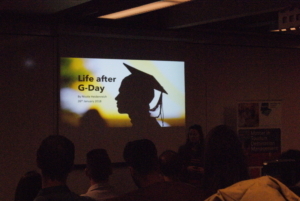 In her talk she addressed potential pathways for students to take after graduating. But she also warned them about possibilities of what she calls a ‘post-graduate depression’. 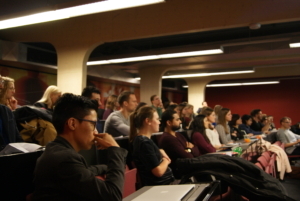 In the end she shared both her working and personal experiences since graduation at NHTV. For Nicole there are 4 possibilities after graduating with a master’s degree: get a job, become self-employed, pursue another post-graduate study, or take a gap year. Obviously, this decision has to be taken individually so Nicole wanted to give her personal advice on each of the mentioned possibilities. When seeking post-graduate employment Nicole suggests being proactive and courageous. This involves thinking about a personal vision, read and get yourself informed about opportunities as much as possible and most importantly go and talk to people. Having a vision is also the most important aspect when thinking about becoming self-employed. Nicole stated that successful start-up founders such as Fred DeLuca or Mark Zuckerberg were not only young but equipped with a strong vision. If you are confident, have a sense for business and combine a good idea with tenacity, why not start your own business? TDM alumna Nicole Heidenreich graduated from the program in 2012. People who have a genuine desire in digging deeper into a topic could go for a postgraduate study. But considerations such as the question if employment chances or income will increase might influence the decision rather or not to go for a PhD. When asked about this option only few of the students in the audience articulated their interest. For Nicole taking a gap year is also a reasonable path. Such a period could be used for volunteering, backpacking or improving language skills. However, graduates should definitely avoid what Nicole calls a ‘post-graduate depression’. The end of a student life can suddenly take away any kind of former structure. Loneliness, uncertainty and even fear of what to come next may arise. Turning one’s vision into a proper plan can be a strategy to circumvent these feelings. In this regard, Nicole brought up a quote of Antoine de Saint-Exupéry: “A goal without a plan is just a wish”. Laura Gorlero graduated from the Master TDM this January and presented her thesis on “PEGIDA and the social conflict in Dresden”. 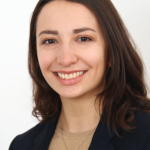 The Italian is also fluent in German and has been living in Dresden since 2017 to pursue an ethnographic research while simultaneously doing an internship at the Dresden Marketing Board. Laura’s motivation for her rather unconventional thesis topic for a tourism student is connected to the rise of the political right and the upswing of xenophobic views all over Europe. In Dresden, the political movement PEGIDA (Patriotic Europeans Against the Islamisation of the Occident) organizes weekly protests against current immigration developments and policies in Germany and Europe. After the inception in 2014, up to 25.000 supporters joined the demonstrations. During 4 months of data collection Laura investigated and compared different views on the phenomenon and analyzed PEGIDA’s impact on the local tourism industry. The underlying research was composed of in-depth interviews with government authorities and business representatives. But Laura also made use of informal discussions with locals and numerous occasions of participant observations while visiting the weekly protests. This in combination with her internship at the Dresden Marketing Board and the participation in several discussion rounds on the topic enabled Laura to collect a vast amount of valuable data. It became clear that PEGIDA has had a major impact on the perceived image on Dresden leading to a decline of primarily domestic visitors. But Laura also found out about a hidden social conflict within the city. The controversies around the movement of the political right have split the city’s inhabitants into two camps. This presents a major threat to Dresden’s social environment. Laura came up with several recommendations for Dresden and other cities experiencing comparable developments. One of them was that the existing reactions and counter-strategies of the city, the public and cultural institutions were too scattered. They never formed one large movement which could have been captured by the media. What is more, it is important to establish platforms for discussion and dialogue with representatives of all perspectives to address the hidden social conflict that is increasingly infiltrating Saxony’s capital. 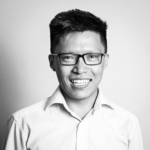 TDM graduate Pema Gurung from Nepal opted for a commissioned thesis research and started an internship at Amsterdam Marketing. For the organization he worked on a thesis with the title “Strengthening the competitiveness of Amsterdam as a meeting destination”. He looked at how to enhance communication processes of association meetings through digital innovation. Broadly speaking Pema and Amsterdam Marketing wanted to find out how meetings may look like in the future and what is the according role of digital innovation within this development. The ultimate goal was to propose recommendations to strengthen Amsterdam’s competitive position as a preferred meeting destination. 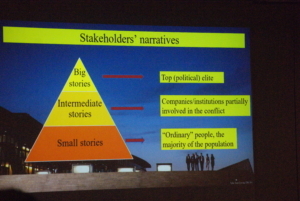 Pema looked at Association Meetings in particular. These are non-profit or non-corporate meetings that bring together groups of people to share knowledge and ideas about a certain topic. 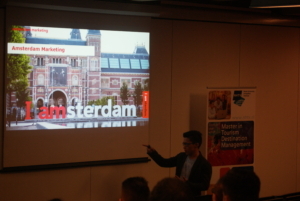 Besides his experiences during the internship at Amsterdam Marketing, making use of internal knowledge and resources, Pema conducted in-depth interviews with meeting professionals from all over Europe. He also participated in various relevant events and conferences. Pema found that (apart from social, environmental, economic and political factors) technological development will be one of the main reasons for professionals to choose a destination for their meetings in the future. Furthermore, digital innovation will alter the communication processes of participants during meeting events significantly. 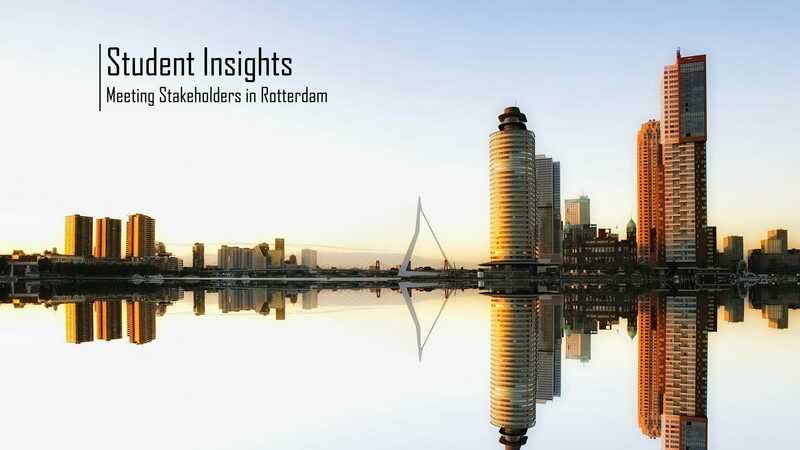 For Amsterdam Marketing Pema recommends exploring and utilizing a number of innovative technologies to sustain Amsterdam’s current competitive position and turn the city into an even more attractive meeting destination. 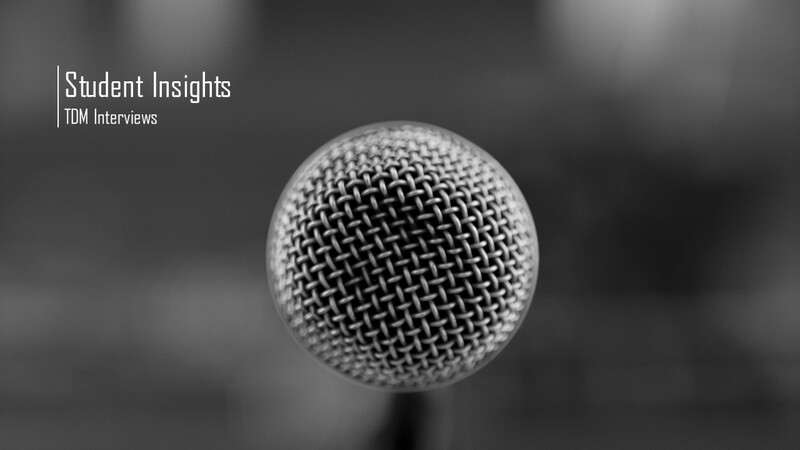 These technologies include chatbots as a virtual communication medium, customized mobile applications at events to stimulate interaction between attendees and using smart- and real-time monitoring devices at venues to measure satisfaction levels of participants. The TDM Master Colloquium included three interesting keynote speeches. But it was further an opportunity to mingle during and after the event, to discuss and share experiences. 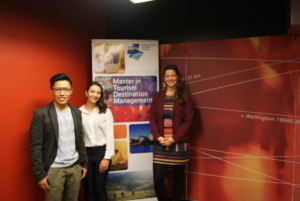 The Master in Tourism Destination Management is dedicated to continuously keep in touch with its alumni network. Events that bring together different TDM generations are therefore vital. We would like to thank this year’s participants and speakers and are greatly looking forward to the next edition of the TDM Master Colloquium.